In one way or another, Nicholas Chango has been preparing for leadership since the day he was born. The elders of his tribe in Ecuador, the Salasaca, predicted that Chango would be a great leader, and commemorated his birth with many ceremonies. From an early age, Chango says, they put him through an intense training program that sometimes lasted 15 hours a day. Brought to a cornfield in the early hours of the morning, Chango was taught to listen to nature and pray to the sun. "[The elders] helped me to understand that all the land is interconnected, " Chango remembers. Later, these elders (called yachaj) wanted Chango to learn how to represent the Salasaca in Ecuadorian society. So they sent him to high school outside of the village. There, Chango came into contact with non-indigenous Ecuadorians and a society that has a long history of oppression of indigenous peoples. Spanish conquistadors came to Equador in 1534, taking control of the land and weakening the indigenous population with disease. Many Salasacan women were reportedly used as forced laborers. In the 21st century, conflicts between the groups have continued, as indigenous groups wrestle with the mestizo population for a voice in the countrys tenuous democracy. After his high school graduation, Chango envisioned a future of political activism for the Salasacan people in mainstream Ecuadorian society. But Changos life changed drastically when, in 1989, he was forced to flee the country. Though he was hesitant to mention specifics in a recent phone interview, Chango claims that a murder case involving three Salasacans put his community under scrutiny from the Ecuadorian government. When he stood up for his community, Chango said that mestizo "officials" banished him from the country. the Special Forces will come, and they will kill you and your people." Chango fled, wandering through Central America and crossing into Arizona before ending up in Wisconsin, where a sympathetic Salasacan took him in. Suddenly, a challenging new life was thrust upon a boy who had grown up being told he was "the chosen one." "I couldnt even get a job," recalled Chango, who estimates his current age at around 35. "I started washing dishes one hour a week, and I couldnt even pay for a bus ticket. It was so disgraceful." He studied English and scraped up enough money to attend the University of Wisconsin at Madison, where he received a degree in political science. Going to school changed everything, Chango said. 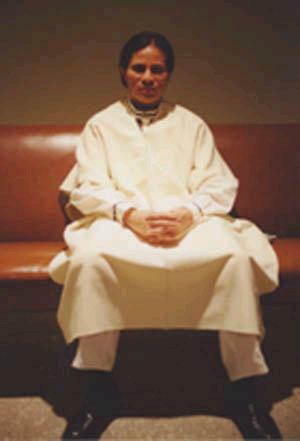 His life as a political activist for the Salasaca was reborn. After organizing with other indigenous students at the university, Chango graduated and made his way to New York, where he found other Salasacan refugees living in the borough of Queens. He created the Ecuadorian Indigenous Peoples Legal Support Office in America in October 2002 to help indigenous refugees fight for their rights as refugees. The organizations mission is "to serve as a link to other [American] organizations, [and] to provide legal advice to indigenous people," Chango said. The group has grown to represent non-indigenous Spanish-speaking immigrants as well. Changos leadership in the indigenous community has taken him all the way to the United Nations, where he gave a speech on indigenous issues in 2001. But despite his work at the international level, Chango still believes he is chosen to represent his people back home. He plans to attend law school next year, and then return to Ecuador. "I want to run for president of Ecuador," Chango said. "Thats my last dream. " Juila Ris and Jennifer Stellar contributed to this report. 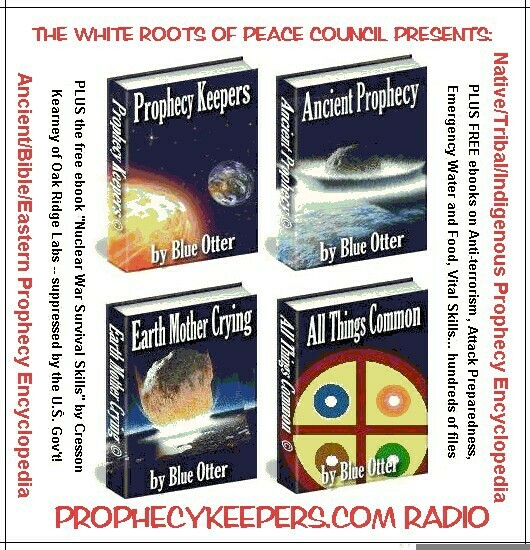 This is Nicolas Chango's first Prophecykeepers Radio Interview.